For some reason, this month has seen a boom in novels about the Roman Empire from St. Martin’s Press. 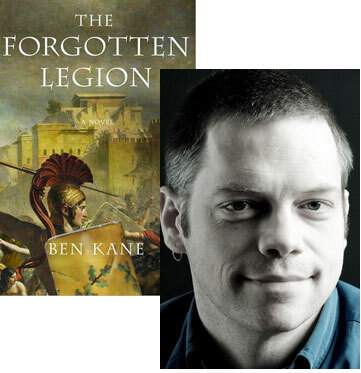 There’s Harry Turtledove’s Give Me Back My Legions, Russell Whitfield’s Gladiatrix, and The Forgotten Legion, the debut novel from Ben Kane. Kane’s path to writing the first volume in an military historical trilogy is a great example of how a dedicated writer will find the time to write no matter what else is going on in his or her life, and I invited him to share his story with you. I’ve been a veterinarian for nearly seventeen years now. Like many people who dream of such a career, I started off with a childhood love of animals. 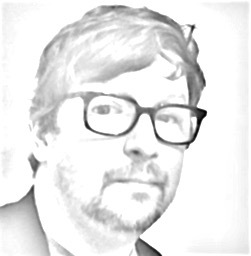 Dogs, cats, rabbits, cows—as a boy, it didn’t matter to me. Discovering the gentle, life-affirming James Herriot books helped build up a mental image of being a “doctor for animals,” as did the fact that my dad was already in the profession. Alongside my love of all creatures great and small ran a deeply rooted love of history. Don’t ask me where it came from, but I devoured any book I could find about the Romans, the Vikings, the Crusades, the Napoleonic wars, World Wars One and Two—in fact any conflict at all! I still ended up putting veterinary medicine number one on my university application form though. The main reason, from what I can remember, is that although I loved history, I couldn’t see myself as a teacher. There was certainly no concept in my mind of being a writer. As with most people starting out on a career, my job as a veterinarian took over my life. Straight out of college, I worked in ‘mixed’ practice for nearly three years, which meant dealing with cattle, sheep, horses, dogs and cats. Stints in purely ’small animal’ and ‘exotic’ (snakes, birds, fish) practice followed in the UK, before the need to travel struck home. In 1997, I went on a solo trip to the Middle East, following part of the ancient Silk Road. During this trip, I visited many of the “stans,” countries which were formerly part of the USSR. In Turkmenistan, I walked the ruins of Merv, an enormous walled city which was attacked and demolished by the Mongols in the 13th Century. As I wandered through the vast site, nearly a mile square, in temperatures of more than 110 degrees Fahrenheit, what became evident was that the city’s history was far more ancient. Merv had originally been founded as Antiochia by Alexander the Great in the 4th century BCE. Furthermore, Roman prisoners of the battle of Carrhae had been taken there by their captors, the Parthians. Fascinated by this, I did some research upon my return. This confirmed what I had read in Merv, and the seeds of The Forgotten Legion were sown in my mind, and I had my first thoughts of writing a military fiction novel. After a prolonged (nearly three years) trip around the world, I returned to the UK in early 2001. The devastating outbreak of Foot & Mouth Disease had just started, and believing it was my duty to help, I volunteered soon afterwards. The job took me to Northumberland, where much of Hadrian’s Wall is situated. During the terrible months of slaughtering animals that followed, I was able to visit many amazing Roman sites on the wall. The stunning locations and little museums fired up my imagination as never before, and I decided to write a novel about the Romans at last. Over the next six years, I went back into normal veterinary practice, bought a house and settled down somewhat. Crucially though, I also started writing, a process which I quickly grew to love. Despite the long hours—60+ per week—and “on-call” nights and weekends of my veterinary job, it became an obsession. I wasn’t happy unless I could write every day. During my lunch break, I’d use my laptop in the staff room, my car or a café. Several days a week, I’d get up at 5:00 A.M. to do a couple of hours before going to work. For years, most weekends were non-existent except for 12 hours a day of writing. In early 2006, I was fortunate enough to get signed by my literary agent, whose input and help with my writing skills was enormous. Discarding what I had written up till then (until another day) The Forgotten Legion emerged into the light. In summer 2007, I signed a three-book deal with Random House in the UK. By the time of the book’s release in May 2008, I had gone part-time as a veterinarian. The pressures of family life, writing and a high-octane job are too much to continue forever without the risk of burnout. Currently on a short sabbatical from veterinary, I hope to be able to say that I’m a full-time writer in the very near future.